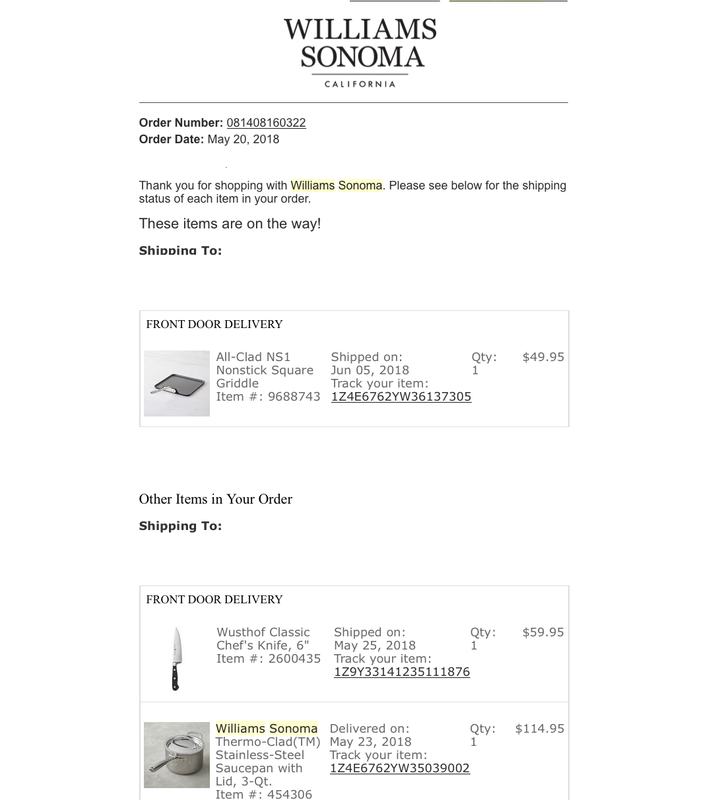 There’s a type of automated email, that is often overlooked, but is very important: the order confirmation email. Order confirmation emails are often triggered immediately after purchase, letting customers know that their order has been received. This email also shares important information with the customer, including order information and estimated shipping dates. Order confirmation emails have the highest average open rates of all email types, with about a 70% open rate. People read order confirmation emails for an average of 14 seconds. This is impressive when compared to the fact that most other emails if opened, are read for a maximum of 8 seconds. 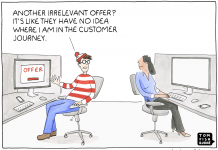 Sixty-four percent of customers find confirmation emails to be the most valuable to them. This explains the open rate, but also shows the importance placed on them. 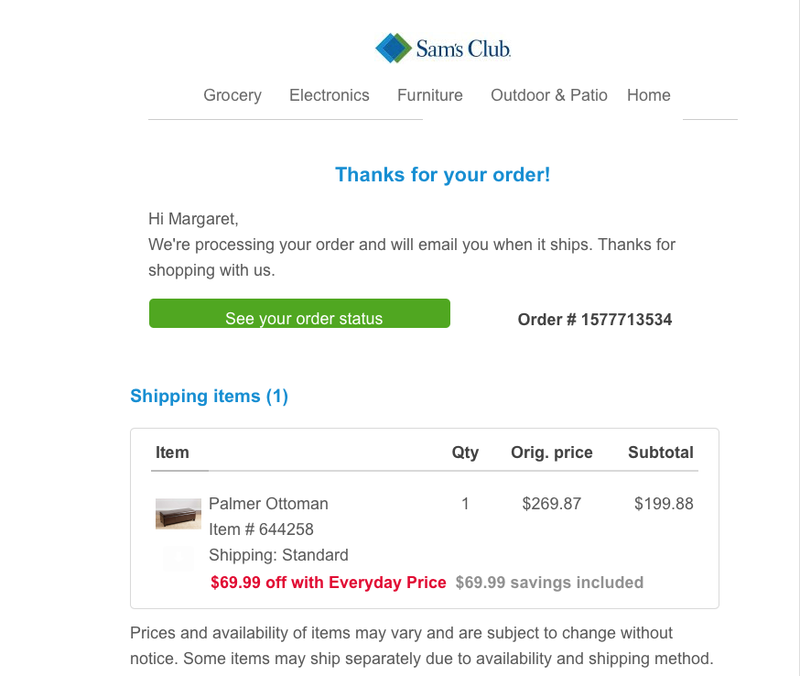 An email that confirms the initial purchase and provides order information. 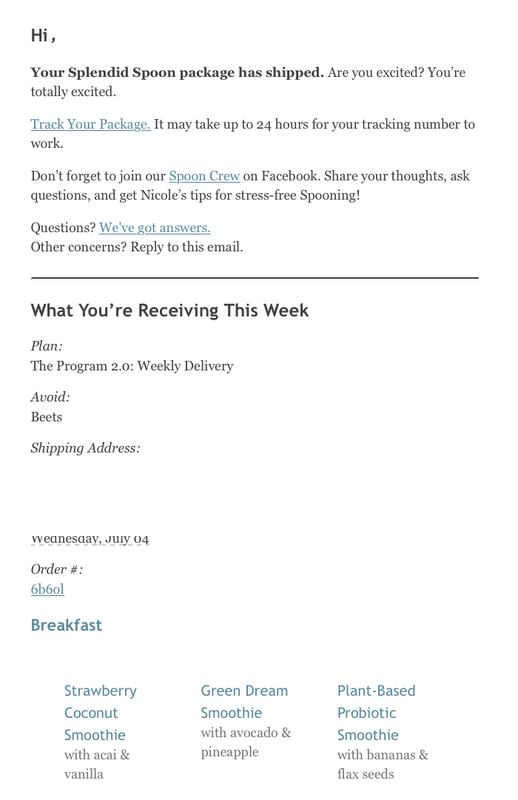 A second email that shares tracking and shipping information with the customer. A third email containing information about how to use the product (though this is skipped by many businesses). A fourth email that follows up with the customer and asks for a review, or checks in about their experience; this is typically between one and three weeks after the customer receives their item. While there’s a lot of room for creativity when it comes to an order confirmation series, there is some information that’s non-negotiable. This is the information that users expect to see, and not having it can cause frustration and an onslaught of messages to your customer support team. The initial order confirmation should thank users for their purchase and let them know that you’re currently processing it. A list of the products they ordered, preferably with images and product titles. The order number, clearly labeled and easily identifiable. An estimated date for shipment if possible, letting users know that they’ll receive a tracking number as soon as the item ships. Easy-to-see contact information in case they have any questions or concerns; this can be a direct link to your customer support page on your site. The shipment information, including carrier and date shipped. The tracking number, which should be clickable. A list of which items have been shipped, and (if applicable) which will ship at a later date. The expected delivery date or an estimated time frame for delivery. Ask users what they think. Include review plugins that encourage users to share feedback that you can publish on your site. Yotpo has great software for this. List contact information for your customer support team so that unhappy customers can speak up; this gives them the opportunity to speak up and resolve any complaints so you can avoid losing them as customers. Take advantage of the “just-purchased” excitement. It will help users feel good about their purchase, reduce the likelihood they’ll settle on returning it before it gets to them and build a positive association that comes with buying from you. There’s a package on the way! What do you think about (insert product here)? While you want to keep the subject lines simple, the way you write the content within the order confirmation emails can make a big impact. It’s a chance to show users that they want to open your emails moving forward, and not just the order confirmation ones. The example below from Lululemon is unconventional but effective. Imagery in any form can help make your order confirmation emails look that much better. You can show customers pictures of the items they just bought if appropriate. These can include links back to the actual product pages so users can check them out if they’re excited or easily send the links to their friends. You can send personalized recommendations based on their current purchases, creating distinct autoresponders for your major purchase items and segmenting with automation rules. If they just purchased an iPhone, for example, show them the case and the screen protector and the car charger, too. Alternatively, you can show them additional content that may be relevant to them. The email below does this by showing users links to product care, email sign-ups, and store finders in case they need help with their products. 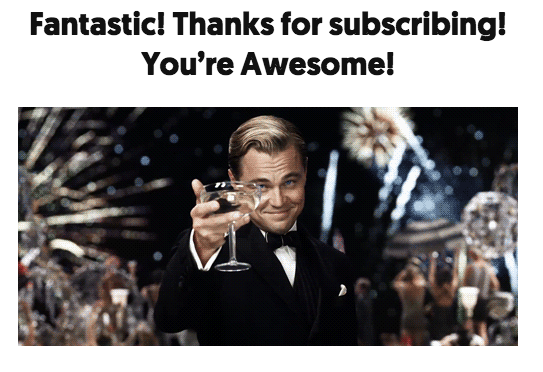 This can be as simple as putting a “Follow us on social” with different linked social icons at the bottom of your email. If you want to focus on the user-generated content, you can include CTAs to reveal the “unboxing,” sharing a feed of other users doing so. By alerting customers that this is what you want ahead of time, it generates excitement and makes them more likely to do it, too. The order confirmation email series has several jobs that it must accomplish—like confirming purchases and sharing shipment information—and several other jobs that it should accomplish (think encouraging future sales and gaining new social followers). By thinking outside the box, your customers will be happier, and you’ll be able to build a better relationship with them. This can lay the foundation for long-term customer loyalty and give them a better understanding of your brand. 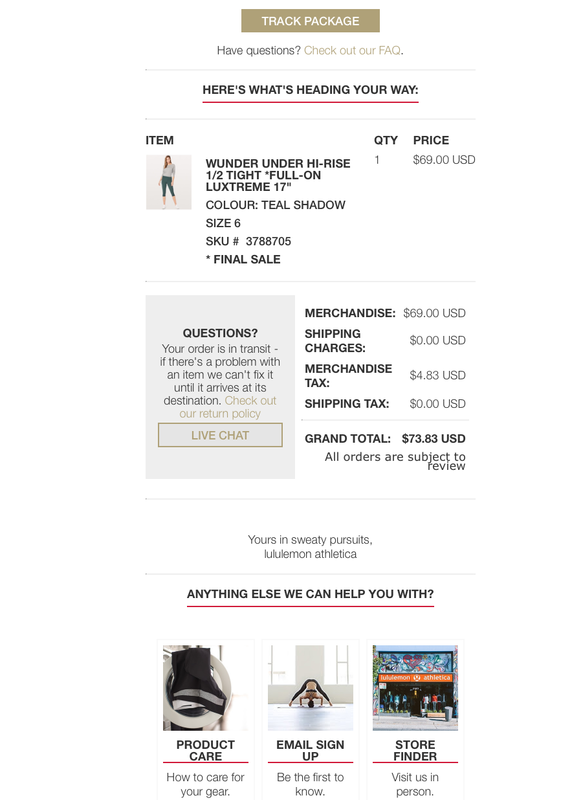 The right order confirmation emails will not only keep customers excited about past purchases, but future ones, too.